The first Just Music Makers session (November 25th, @ sPAZIO211, Turin, Italy) went pretty well, thanks to all those who attended and supported our efforts! The invited artists have largely met expectations, and people really heard something more different and challenging than the usual. Here are the links to download the recorded sets (right click + save as). From Madrid, Annie Hall demonstrated to have a sound ready for the forefront of electronic music. Precise, elegant, melodic, but with uncompromising beats and basslines. 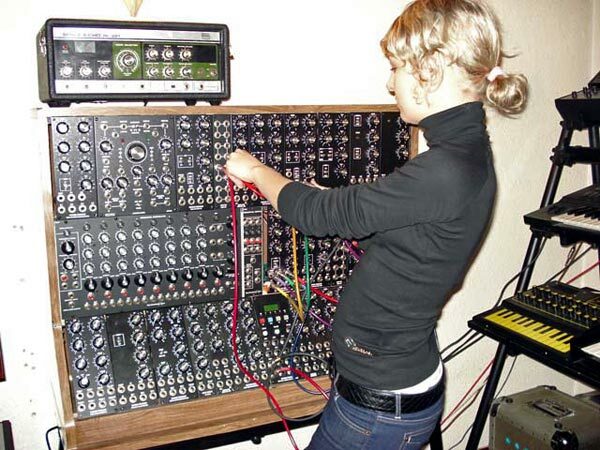 Worthy heir of Detroit electro, she showed also innovative and forward thinking soundscapes. A new EP is just out on Semantica, and she’s currently working on new projects. A deep, personal and uncompromising live set. Surely a sound that looks to the future, able to shape alien atmospheres, but with human presence. Vaghe Stelle is another one to look for, in the future. In the meantime his first digital release “Cicli 1 EP” has just come out on Margot Records. Look for it on the best online stores (Beatport, Junodownload, etc.). Our set was a hybrid between a dj set and a live one, we have included tracks that inspire us and played synth and drum machine on them, creating a multilayer flow of sound. …have nice time listening, let’s comment here for any info request, feedbacks, and so on. Thanks!